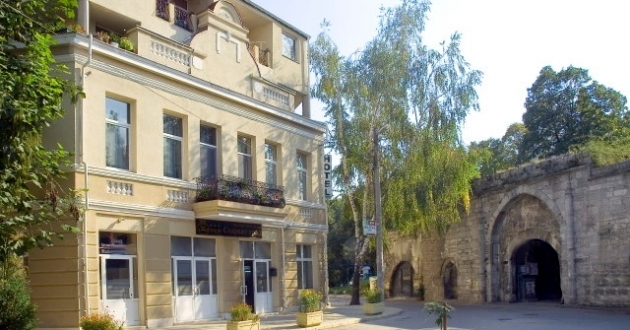 Location: Hotel The Old Town is a small boutique hotel in the heart of Vidin, right in front of the gate of the Old Town – the remarkable Stambol Kapiya. The hotel takes one floor of a renovated old house from the beginning of 20th century. The city centre, where all administrative buildings and bank offices are situated, is just a few steps away from the hotel.The unique paintings from local artists transform the hotel into a place for connoisseurs. 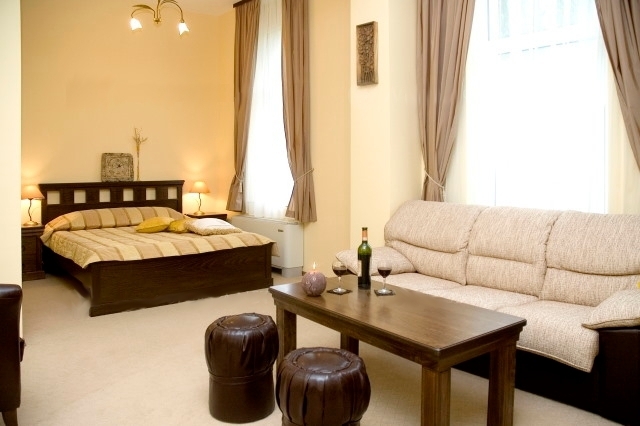 Accommodation: Family hotel Old town hotel, Vidin offers 19 beds in total. The eight rooms of the hotel are furnished with designer furniture in old style. The bathrooms are quipped with hydro – massage panels and offer incredible atmosphere of retro luxury and esthetic pleasure.